Written by Colleen Sedgwick on February 17, 2014 . Posted in Newbies. Policies and Procedures for Pet Sitters are imperative for you to create necessary boundaries with your customers. Would you like to avoid those uncomfortable discussions you have with your clients regarding your prices? Wouldn’t it be great not to have constant questions and emails regarding issues like… Why the sitter arrived at 12:30 pm and NOT 12:00 pm or why the sitter did not take all 3 dogs on their walk at the same time? Would you like to enjoy your evenings and weekends and not have that looming feeling of constantly having to be on-call for the scheduling needs of your clients? Creating Policies and Procedures for your business will help solve these problems. If you are a pet sitting business owner, you know the pain that comes with these awkward and uncomfortable conversations regarding your business procedures. If you create your own set of Policies and Procedures and make them known to your customers right from the start, you will avoid many headaches. In my last post I write about the importance of having Policies and Procedures in place for your pet sitting business. In this post I’m going to outline for you, each of the specific areas that you should have included in your P&P’s for your clients. To clarify, these Policies and Procedures are for your clients and not your team of pet sitters. You want to be sure that your clients are aware of your rates. I keep a live version of our rates directly on our website and under this area of our P&P’s I state… RATES & FEES: All of our rates and fees can be accessed through our website. By doing this you don’t have to constantly be updating all of your documents. Your Services and Rates will always be posted at that one spot. Explain to your clients in what forms you accept payment. Check, PayPal, Visa, MasterCard, Discover, American Express, Auto-charge, Cash. Be specific. Explain to your clients how you accept payment. Do they need to mail you a check? If so, when will you need to receive the check by? You will also want to include your mailing address. Will you keep their credit card on file? When will you charge the card on file? Will they need to follow your PayPal link? When does their bill need to be payed? Before the start of service? If so, how many days prior? After service is provided? Half up-front, half after? Whatever your process is, spell it out clearly. Do you accept refunds? If not, do you credit their account for cancellations? How long do credits remain on their account? Do they expire? Every company should have clear office hours. This is when you answer the phone, schedule reservations, process new clients and deal with customer service issues. You should not be a 24-hour per day operation. If you set the standard of being available at all times, you will live a very stressful existence. State here the exact hours of operation. Include the hours on your voicemail and set up an auto-responder for when the office is closed, which includes the hours of operation. Here is where you want to spell out your scheduling process. How do you schedule reservations? Email? Phone? Scheduling system? All of the above? How are reservations confirmed. What can they expect? I suggest making a note here that messages left are not considered confirmations. What is your Cancellation Policy? 24-hours notice? 48-hours notice? 7 days notice? Perhaps it’s different for each of your services. Spell it out. It should be so clear that a 2nd grader can understand it. If it’s too complicated, people will not remember. What are the times of the actual pet sitting visits? When can a client expect you at their homes? Do you accept exact time requests? If so, is there a fee for that? How many hours go in between visits? Will other people be at the client’s home while you’re caring for their pets? If so, what is your policy regarding this? What will your sitter do if they arrive and someone unannounced is there? Do you require notification of others having access to their home? This is a liability issue, so think long and hard about this one? Do you provide last minute service? If so, is there a fee? What do you consider to be last-minute? Be specific. Do you charge a registration fee? If so, explain what it is and why you charge it. If you offer FREE initial consultations, you would state that here. What is Key Policy? Do you keep keys on file? If so, how many copies? Do they need to provide the copies at the registration meeting? What do you do with the copies when you are not providing service? How are they organized? Do you offer a key pick-up and drop-off service? If so, what’s the charge? Do you use lock boxes? Can they purchase a lock box from your office? If not, where should they buy one? What is the lock box procedure? Do you care for unsecured pets? Meaning, pets that have access to the outdoors when you’re not there. This is another big liability issue, so you’ll want to think long and hard about whether or not you want to allow for pets to be left unsecured and unsupervised when they’re on your watch. Do your clients need to provide your pet sitters safe access to their homes? Examples would be shoveled driveways, walkways, porch etc. The next important step is becoming vigilant about following them! In the story I shared with you in my last post, I broke my Office Hour Policy and New Client Procedure, which ended up causing me a lot of wasted time and frustration. Trust me, there will be times when, against your better judgement, you will break your P&P’s too, but always try your best to follow them and make your customer base aware of them and to respect them. YOUR HOMEWORK ASSIGNMENT: Follow the outline I have provided you with above and write out your own Policies and Procedures. If you already have P&P’s, re-read them, and perhaps update the ones that may have changed. Hey there, Newbie Pet Sitter! Are you feeling stuck or overwhelmed with starting your pet sitting business? Fret no longer, my friend. I’ve got ya covered! 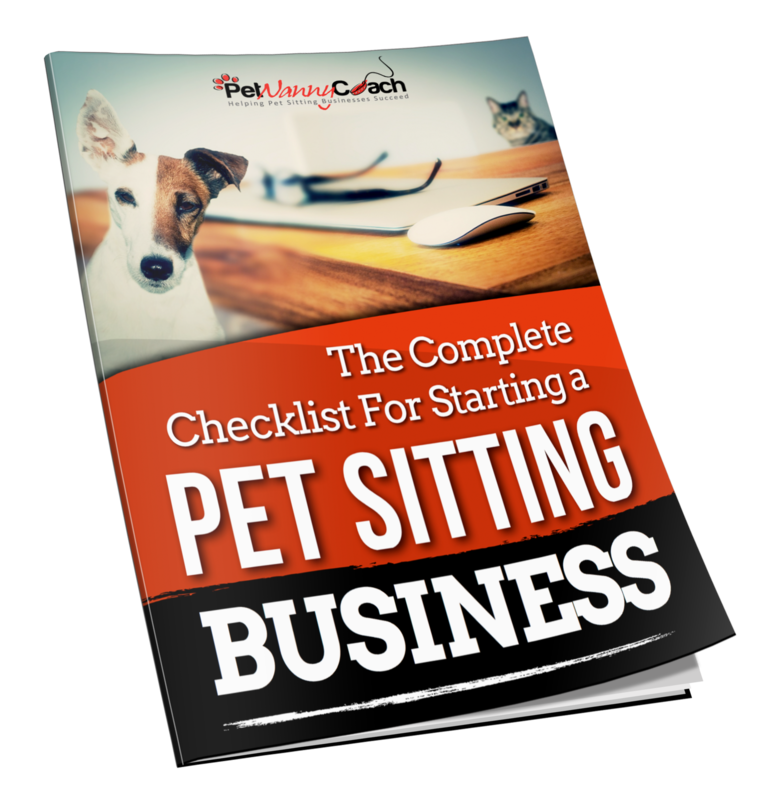 Enter Your Info Below to Download The Complete Checklist For Starting a Pet Sitting Business!